It's been well documented that I struggle with joint issues so I try to eat as much alkaline forming foods as I can, fill my plate with anti-inflammatory foods and steer clear of the archenemies (sugar, shade veggies, processed foods, etc). I can't say this will work for everyone, but it definitely helps me. 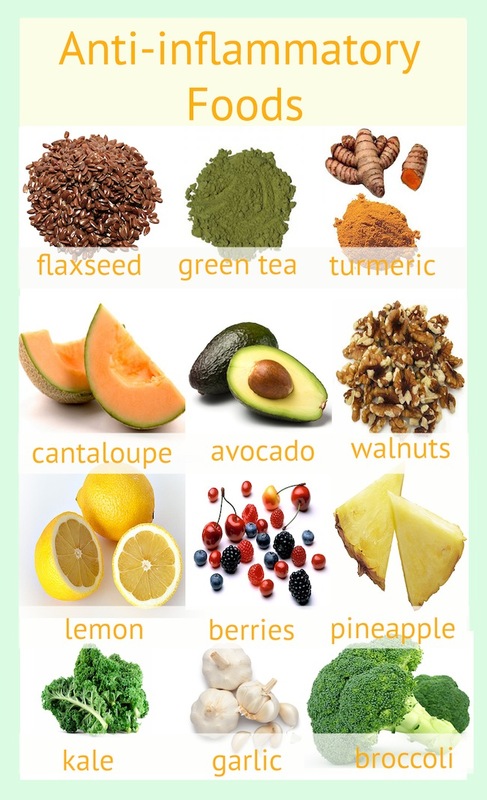 Some of the foods listed above will be easy to incorporate into your diet, but some you may have never tried. Turmeric, for example, was something I'd never used before. Now I buy the root in a regular foods store (organic is best), and put about an inch in my vitamix drinks. You can also buy it ground up as a spice. I use flaxseed in my granola recipe, and also use flax oil in my green drinks (you don't even taste it). Let me know if there's anything else on this list that you're stumped on.